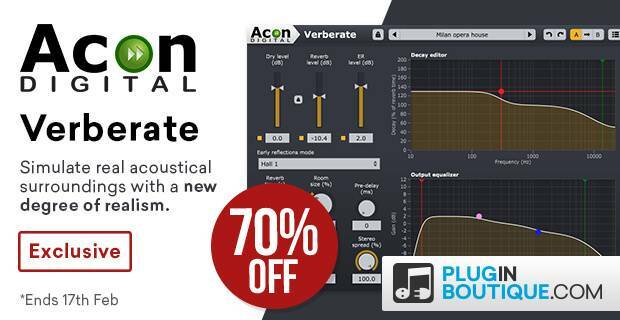 Acon Digital Verberate Sale (Exclusive) sale at Plugin Boutique with 70% off! An algorithmic reverb plug-in that simulates real acoustical surroundings with a new degree of realism. Save 70% off exclusively at Plugin Boutique and buy now for only £20.95 / $29.00!